No, I’ve not gone mad. Well not entirely. But what is the point of running a whisky website if I don’t deal with some of the more mass market bottles with which most people are familiar? With that in mind, when in the supermarket recently I picked up a bottle of Bell’s Original. Bell’s is one of the UK’s most well-known whiskies, and it can be seen in corner shops and supermarkets up and down the country. Bell’s began in 1825 when it was created by Arthur Bell in Perth, Scotland. It wasn’t until a little later that Mr Bell began blending whiskies together, and before you know it a brand was born. By the 1970s it became Britain’s biggest-selling whisky, and occupied a third of the market by 1980. Today it’s produced by Arthur Bell & Sons Ltd and owned (like most things) by Diageo. 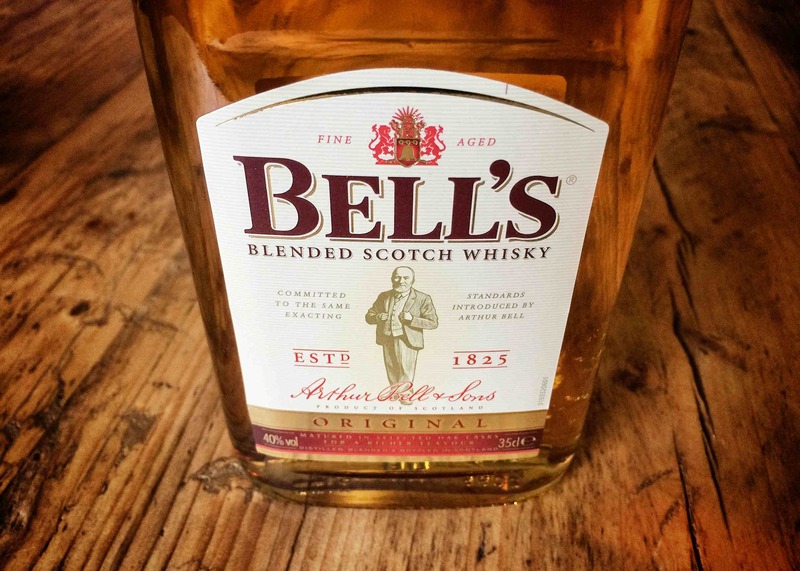 Bell’s Original is made up of both grain and malt whisky that’s produced at Blair Athol (which is the base of their operation in Perthshire), Inchgower, Dufftown, Glenkinchie and – one of my favourites – Caol Ila. After being blended, the whisky is then bottled at Diageo’s Shieldhall plant, at 40% ABV. A small bottle can cost you under a tenner. Now, I’m not going to tear this whisky apart because it’s a mass-produced blend, which would be the funny thing to do. 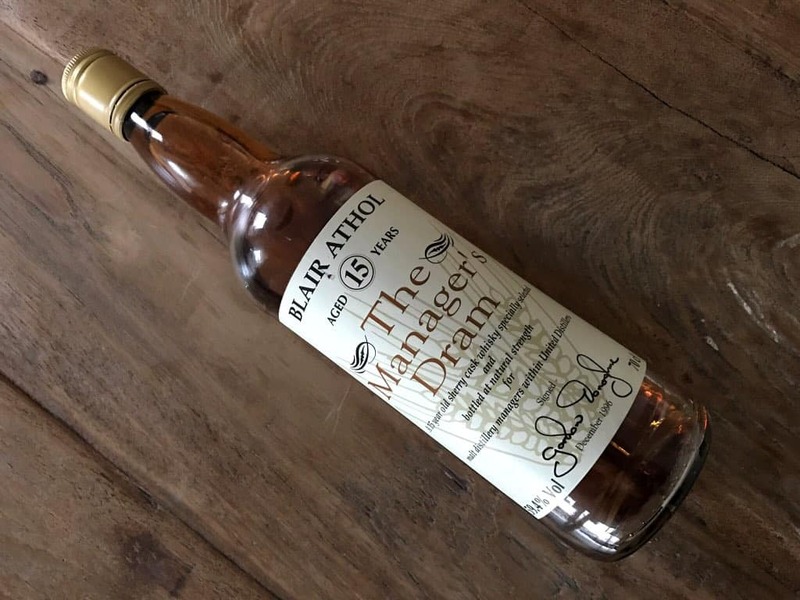 This sort of blended whisky is often people’s first foray into the world of whisky, so really it ought to be taken quite seriously. Instead I’ll judge this like all the others: on taste, and what you get for your money. Colour: tawny, russet apple. On the nose: fudge, millionaire shortbread, crème fraîche. It comes and goes pretty quickly, but it’s pleasant. Once you get used to those aromas they tend to fade somewhat quickly, which is my only disappointment. In the mouth: There’s little wafts of what there was on the nose, but not much taste traction on the tongue at first, despite the viscosity. Dried apricots, caramel, apple peel, cashew nuts, and a very distant creamy, fudge which finishes with evaporated milk. Plenty of grain action here. It’s well-rounded, and with a good oily texture. Woody notes and the fraction, just a fraction, of smoke (go, Caol Ila!) lead you to quite a pleasant, warming finish. I’d actually like to see what this tastes like with a much higher ABV. Definitely a better nose than mouth, if I’m honest. But all in all Bell’s Original is a pleasing, mellow dram. It’s not simply inoffensive. You get more than what you pay for, and it’s certainly much better than Beckham’s Haig Club, which costs about four times the price. Thanks for the review. I thinks it’s good that you’re reviewing the cheaper, popular, mass produced and sold blends like Bell’s. It’s been ages since I tried any, so I can’t really pass comment. But yeah, it was probably among the first whiskey’s I ever sampled, so it’s important they’re not overlooked simply because they’re cheap and popular. Sorry to hear Maria doesn’t like Bells. I do. My chum is the only other person I know who doesn’t like it , but the poor chap’s had his taste buds grafted from the soles of his feet. PS it’s whisky, not whiskey. Whiskey is Irish or American bourbon or one of the plethora of other drinks thar attempt to emulate this magnificent dram, but not scotch….